Have you heard? 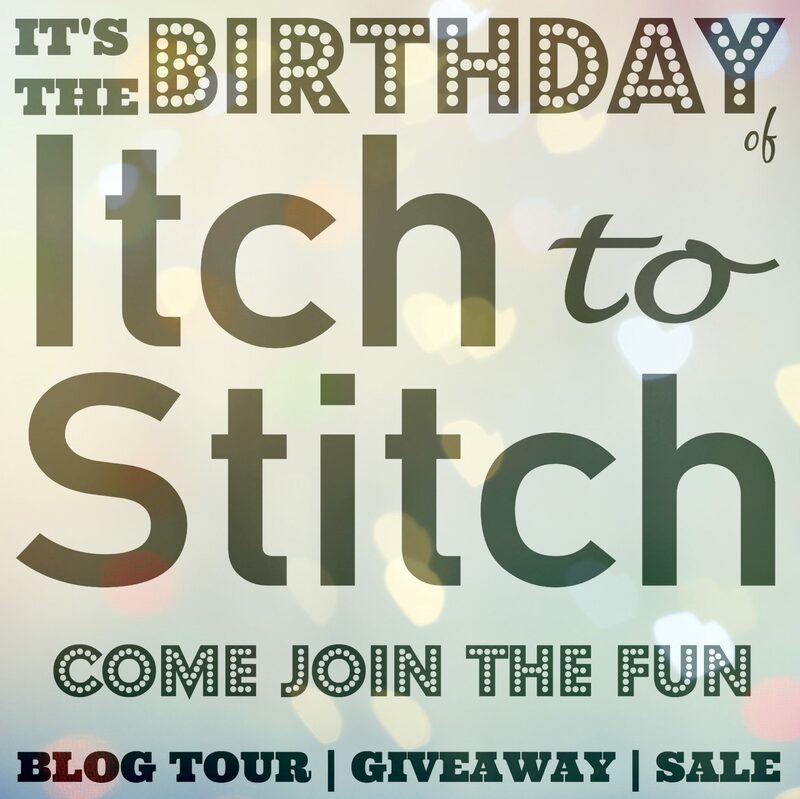 Itch to Stitch is celebrating its first birthday and ten fabulous patterns! I was thrilled when Kennis invited me to join her birthday party blog tour. I had admired her Marbella dress pattern before but hadn’t yet tried it. I’m bringing up the tail end of the tour with my version of Marbella, but the fun isn’t over just yet–scroll to the bottom of this post for a very generous giveaway! In addition to providing me with the Marbella pattern, Kennis also hooked me up with some retailer discounts. I wanted a medium weight wool for my dress, so I shopped around Michael Levine until I found this black Italian stretch wool. It’s not especially stretchy, but it does have a bit of give to it. 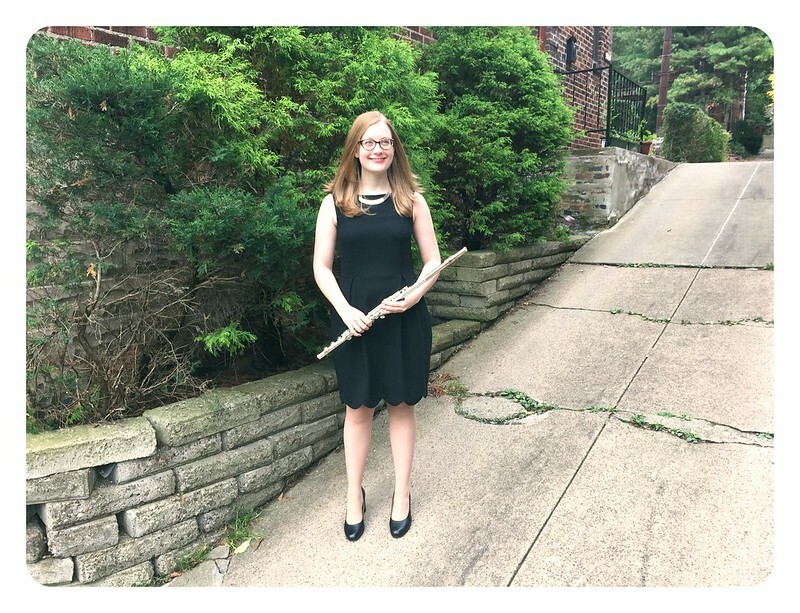 I was originally attached to the idea of a navy Marbella, but this black wool was not only less expensive, but also made the dress perfect for an upcoming concert with the wind ensemble I’ve recently joined. 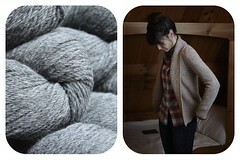 It’s always a bit challenging to deal with fitting a new-to-me indie designer, but this pattern was an exception. 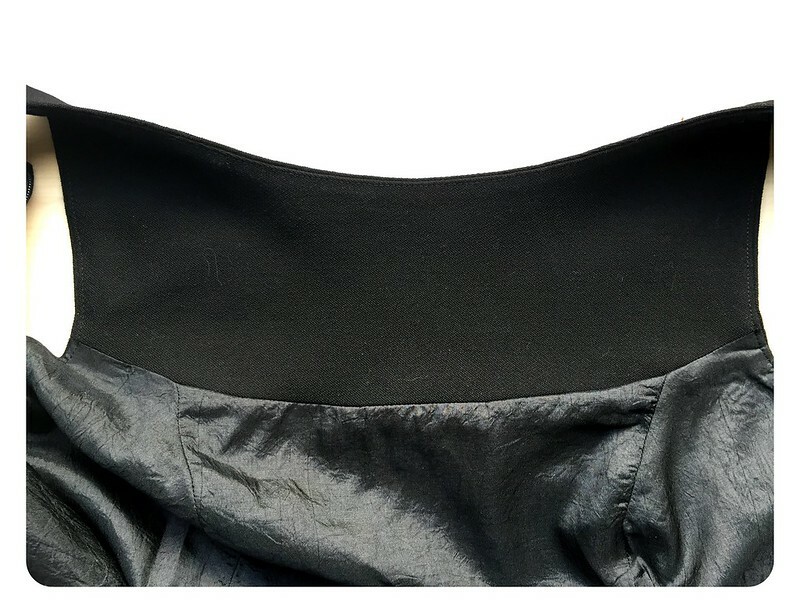 Based on the pattern measurements and instructions, I graded between a size 4 bust, 2 waist, and 8 hip, which was made all the easier by the PDF pattern’s layer feature that allows you to hide unused sizes when printing. This pattern also features four different cup sizes, so I didn’t need to do a FBA: although my bra size is bigger than a D cup, this sizing worked well for me. In a future version, I could stand to take in the waist a bit, do a small swayback adjustment, and bring up the waist seam, but this pattern fits me very well straight out of the virtual envelope. 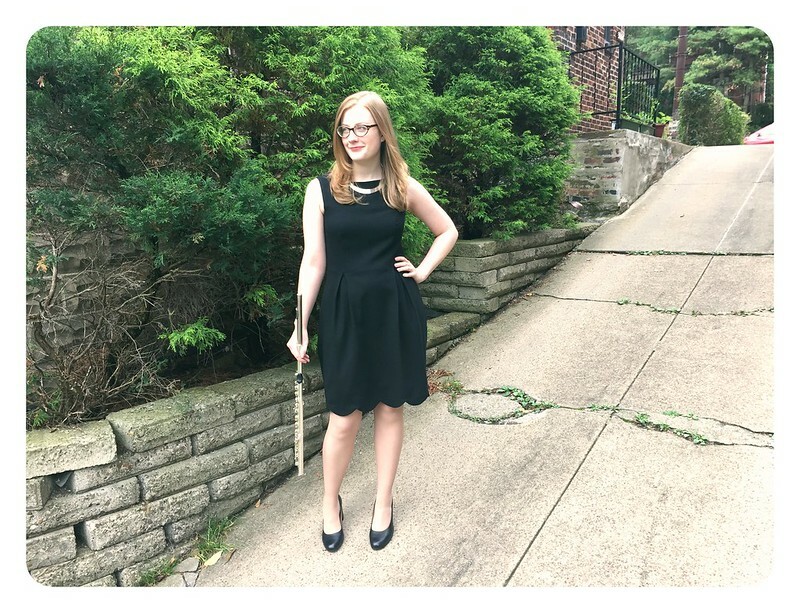 Keep in mind when looking at fit in these photos that I’m standing on a pretty steep incline–our weird driveway was the only place where we could find nice enough light to photograph black. 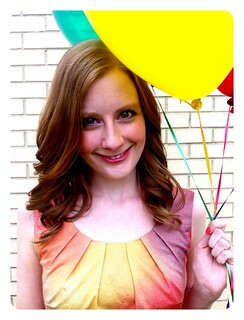 So, shortly after Kennis invited me to the blog tour, I was totally on board for the Marbella dress. But when she told me she wanted each of us to “hack” a pattern, I paused to think for a few days. This pattern already had pretty much everything I could want: there are instructions for both lined and unlined versions, it includes side seam pockets, and I loved the design lines. I honestly wasn’t sure how to improve upon it, especially since I tend to sew patterns as designed. Then I thought about one of my favorite, completely out of my financial reach designers, Kate Spade. She has many beautiful dresses and other garments featuring scalloped hems, as does J.Crew, another brand I can’t afford. I decided to bring this beautiful design element to my Marbella dress and use better quality materials–their dresses are poly blends! 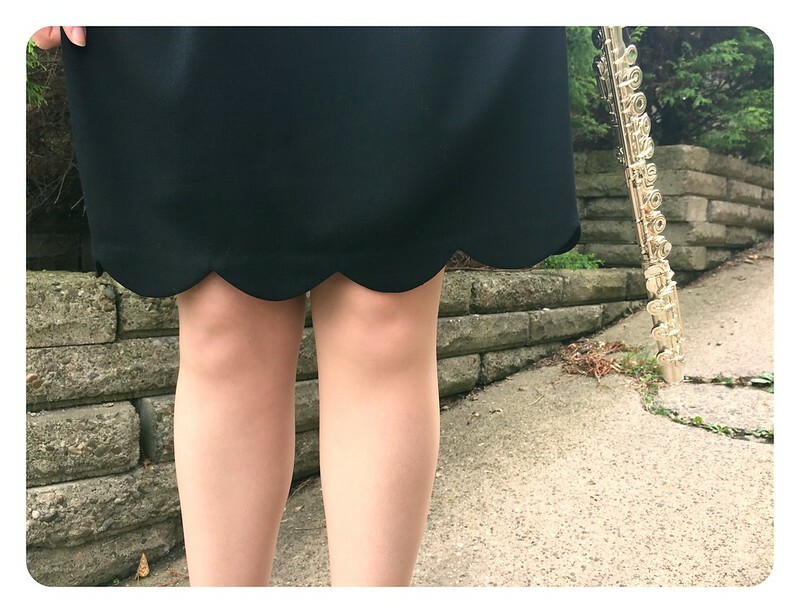 Once again, it’s my stance on the incline, rather than the hem itself, that’s lopsided in the photo above–sorry! I already owned a couple of patterns that incorporated scallops, but both of them used facings. I followed this tutorial to simplify the technique and perhaps also reduce bulk by using an extra hem allowance. The scallops featured on that tutorial are actually a bit uneven, which is partially because corduroy isn’t the best choice for the technique, but also possibly due to the manner of pressing. I cut my scallop out of cardstock to more easily trace a stitching line onto my fabric. Then, once I had stitched, trimmed, and turned out the scallops, I pushed the cardstock into each one before pressing it to make for a nice, smooth, and even curve. 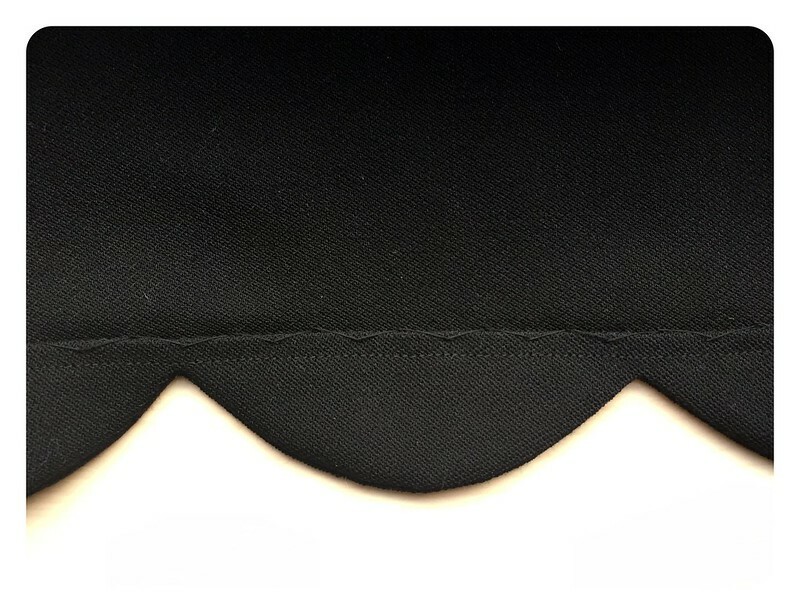 This scalloped hem certainly took more time than a standard hem would have, but I didn’t find it especially difficult or fiddly, and I think the result is absolutely worth the extra time I spent on it. I’m not one to jump on every indie pattern bandwagon that rolls past, but I think this pattern is actually worth your money. 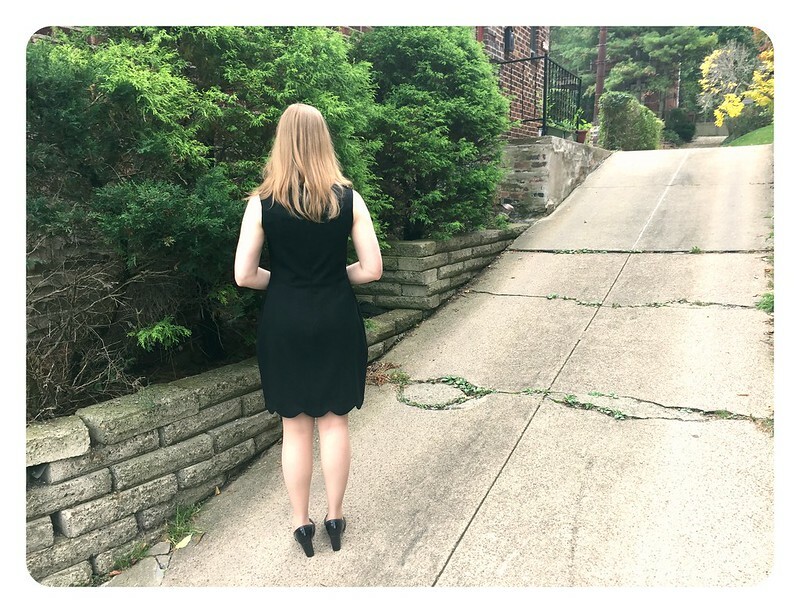 Kennis’s excellent and thorough instructions guide you to a professionally finished garment–I typically consult outside resources at some point in a decent sized project like this one, but for this dress I only needed the scalloped hem tutorial. 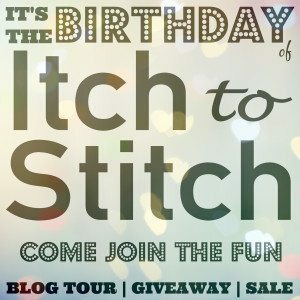 Thanks to Kennis for including me on this blog tour, and congratulations on a successful first year of Itch to Stitch! To be clear, I received this pattern for free, as well as a discount on my fabric, as part of my participation in this blog tour. 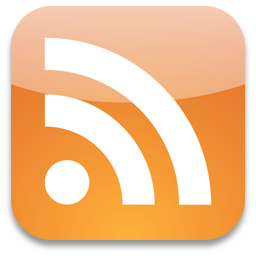 All opinions are my own and as unbiased as they can be when free stuff is involved. Love your scallops. They really bring your (already lovely) dress to life. 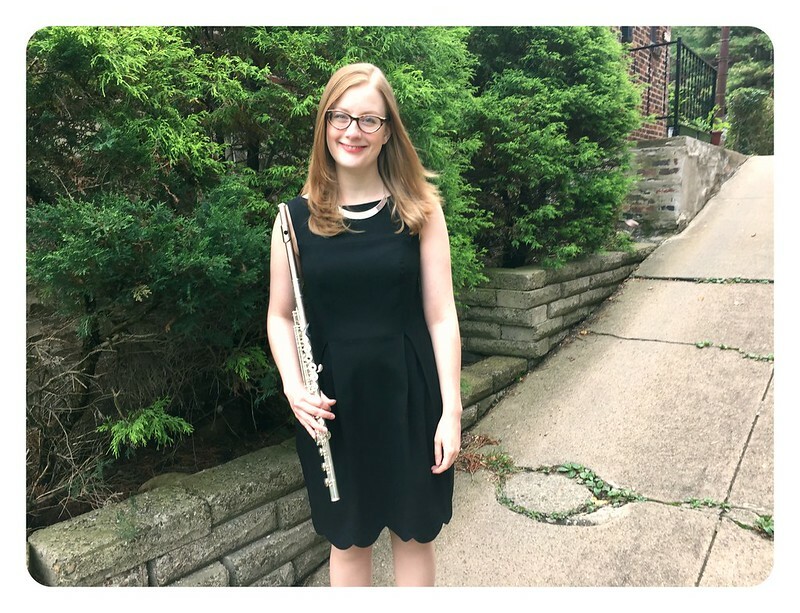 Such a beautiful dress and perfect for your concert! very nice, the scallops add a lot to it! Love it! Book marking your hack for my dress, and then off to explore your blog. Many thanks! Love this hack! I keep admiring scallop hems, but never seem to have the time to try it on an actual project. I really must allocate time to do this soon. The scallops just add some instant fanciness to the garments!